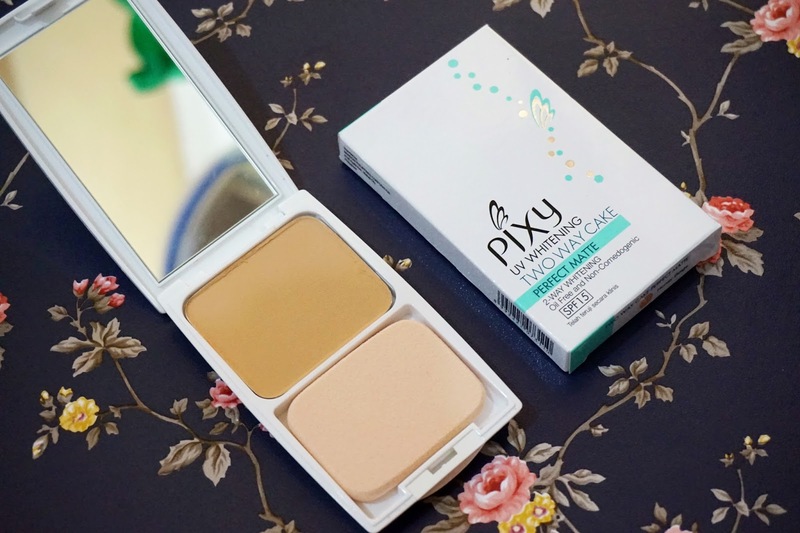 I got my first Pixy UV Whitening Two Way Cake Perfect Matte foundation last year from a BDJ box and I must admit that I am not really thrilled about it. It says on the pamphlet that comes with the box that it’s only 275php(145php for refills). I thought if it’s that cheap it can’t be that good. Not to mention is has that strong drugstore foundation scent. If you know what I mean! However, when I ran out of my Maybelline Clear Smooth Extra Shine Free Powder foundation, this is all I can find in my drawer so I shrug and just gave it a try. Holy Smokes! I am impressed upon application. 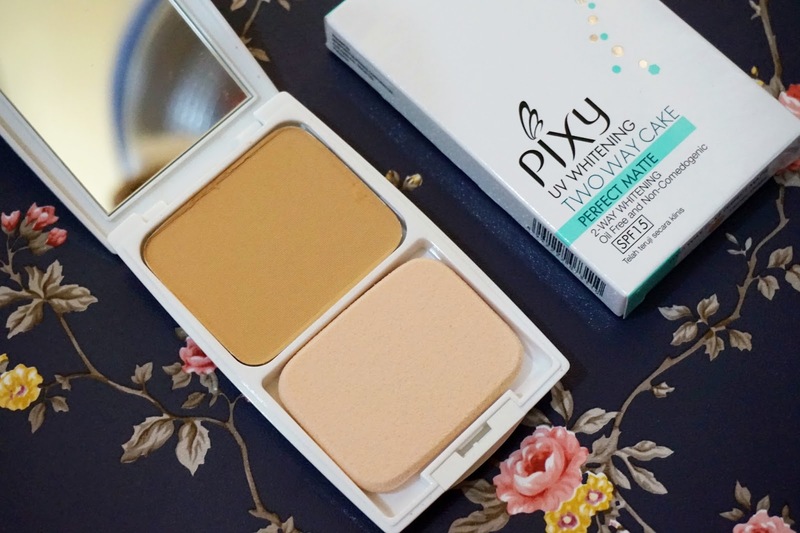 I used it with a brush that time and it yields medium coverage, you can actually build it up to heavy coverage. Since it can be used as a cake foundation, I tried to use it with my Holika Holika Foundation sponge which I got from a BDJ Box too and loved it even more! It yields a silky finish that looks natural on the skin. I’ve been using it as a cake foundation ever since and it has never failed. It’s affordable. It retails for only 275php. 145php for refills. It’s oil free. You know I have oily skin so an oil free foundation is a must for me. Buildable coverage. You can use a brush for a light to medium coverage or a wet sponge for a medium to heavy coverage. I have to mention too that when I use this as a cake foundation, there’s almost no need for me to conceal. It yields silky and natural finish. 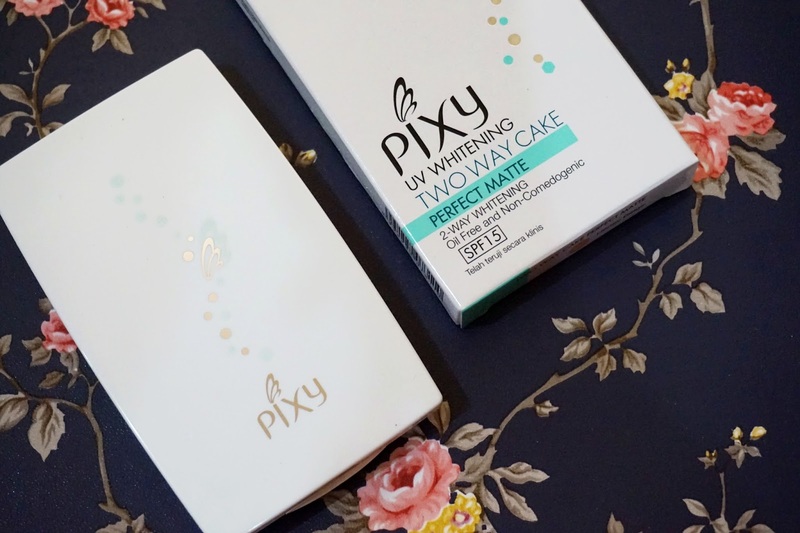 The Pixy UV Whitening Two Way Cake Perfect Matte Foundation doesn’t have white cast on flash photography. It can last for 6-7hours on my oily skin. You’ll need to blot after 5hours or so if you have really oily skin. It has a matte finish but it doesn’t accentuate dry patches. The packaging is not flimsy. I know for the price of 275php you’ll expect a cheap plastic packaging but believe me it’s packaging is sturdy and doesn’t feel cheap at all. Its packaging is comparable to Lancome’s compact foundations. It comes with a sizeable mirror. 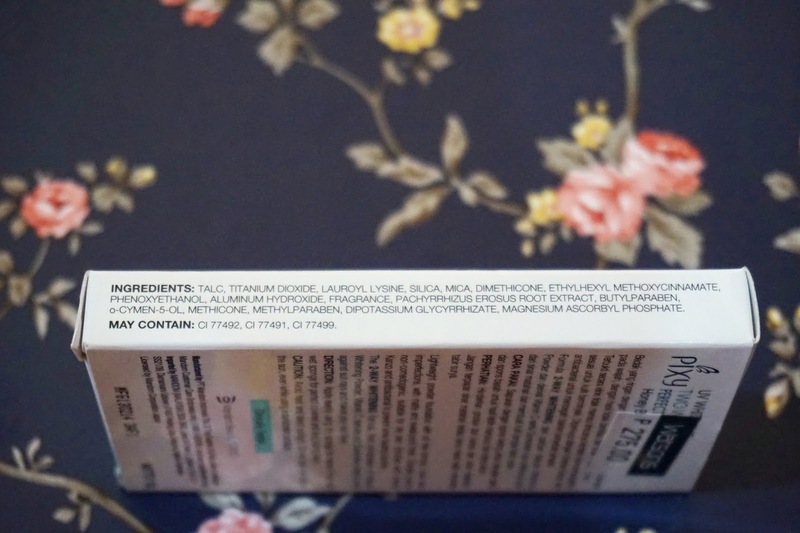 Has a strong drugstore foundation scent. The sponge it comes with is too thin for my liking. 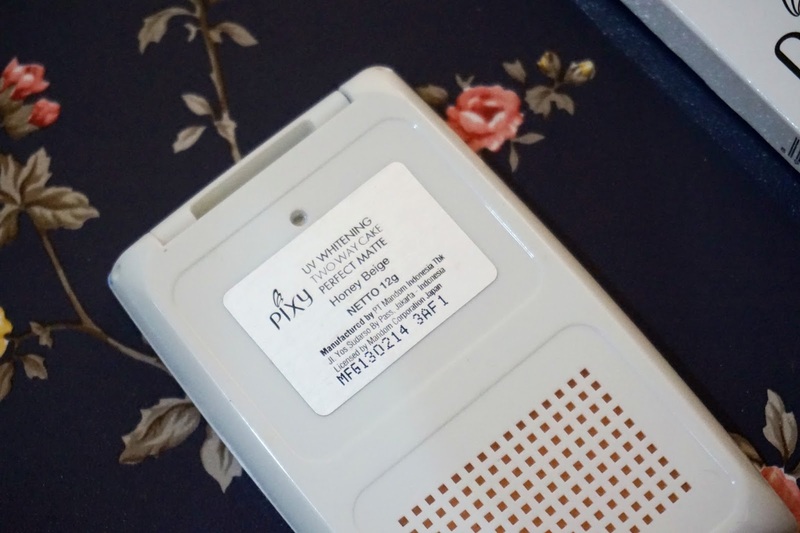 It still comes in handy for retouches though.